Starting the second half of the 2019 legislative session. And I think it’s time for a pep talk. We dodged a major bullet last week when SSB 5174 (CPL training) failed to get a vote. That was no coincidence. They do a nose count before major votes, and if the votes aren’t there, they don’t bring it up for a vote. Should a bill as extreme as SSB 5174 become law, it would strike a major blow to the CPL program. 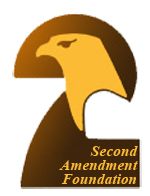 There are just over 600,000 CPL holders in Washington. Imagine if, the next time this comes up (there WILL be a next time), imagine if we could get just 1% of CPL holders to show up in Olympia to protest the bill (and other gun control bills). That would be more than 6,000 protestors. Guaranteed that would get their attention. But the other side is relying on gun owner apathy, whether it’s in Olympia or on election day. As a 20-year registered lobbyist, I can assure you – lobbyists can’t carry all the load. Lobbyists are there to speak for you, but they need to be backed up. By vocal gun owners. I’ve seen it first hand in my time in Olympia. Hopefully, many of you sent letters to your legislators two weeks ago, after the GOAL Alert on 5174 was published. 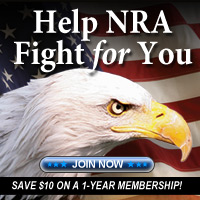 And NRA and other gun-rights group members sent communications. That’s what influences legislators. It’s called “grassroots lobbying.” And it works. Washington has historically been a pro-gun state – provided a large number of gun owners (and their family members) speak out – and vote. Our shall-issue CPL program passed in 1961 was a model for the country. As was the landmark “state firearms preemption” law we passed more than 30 years ago. It’s up to each of you – individually. On 14 March, Governor Inslee signed into law SB 5954, the bill that funds the bump stock buyback program. 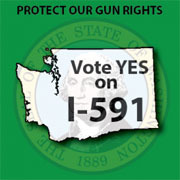 I believe SB 5954 is both unconstitutional and unnecessary. But it’s the law. At least those who choose to turn in their previously legal bump stocks will receive some compensation — $150. Limit of five per customer and sufficient funds allocated for 1,000 bump stocks buybacks. Better hurry! 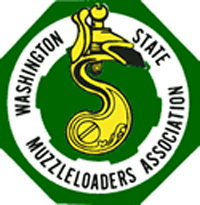 The funding is available immediately (or when the WSP is ready to cut checks). Public hearings held on four bills this past week, HB 1949 (firearm background checks), and SBs 5508 (WSP background check for CPL), 5181 firearm possession/mental health) 5782 (assisted knives)… Awaiting executive action (committee vote, most votes scheduled for next week) HB 1949 (firearm background checks) passed out of the Senate Law & Justice Committee and sits in Senate Rules awaiting a pull to the floor for a final/floor vote. Five public hearings are scheduled for next week, most in Senate Law & Justice. HBs 1465 (delivery of handgun with CPL) and 1786 (firearms/protective orders) will be heard in Senate Law & Justice at 10:00 a.m. on 25 March. HB 1739 (untraceable/undetectable firearms) at 10:00 a.m. on 26 March. And HB 1934 (CPL renewal for deployed military members) at 10:00 a.m. on 28 March. House Civil Rights & Judiciary will hear SB 5027 (under age 18 extreme risk protective orders) at 10:00 a.m. on March 26th. At this time no action has been scheduled on SHB 1225 (firearms/domestic violence) and SSB 5434 (gun free zones) but there is plenty of time in the 12 days before the next cut-off. The next cut-off facing us is the second chamber policy committee cut-off on April 3rd. All House bills must be out of Senate Law & Justice and all Senate bills must be out of House Civil Rights & Judiciary.